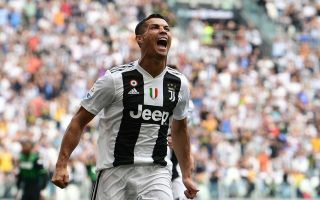 Reports claim that Cristiano Ronaldo will escape a lengthy ban, thus allowing the Juventus star to play against former club Man Utd in the Champions League next month. The 33-year-old received a straight red card against Valencia at the Mestalla on Wednesday night, with the referee giving him his marching orders after a clash with Jeison Murillo. Replays suggested that the incident looked relatively innocuous, but the dismissal stood and an emotional Ronaldo was forced to leave the pitch fearing that he may miss significant playing time in the group stage. According to The Guardian though, it’s understood that he will face a one-match suspension without doubt, ruling him out of the clash with Young Boys on October 2. However, it’s claimed that the ban will not be extended further than that by UEFA, thus potentially allowing Ronaldo to face United at Old Trafford on October 23. That will undoubtedly be a major relief for coach Massimiliano Allegri to have his talisman available, despite the fact that his side still went on to win in Spain and collect three points from their opening fixture even after losing their star forward in the first half. Further, given his reaction to his red card and the subsequent fear that he may miss games in a competition he has become synonymous with, coupled with the sentimental factor of going back to Manchester, it looks as though the Portuguese international will get some good news. Nevertheless, it’s worth noting that there has been no official word from UEFA on the matter, and so there is still likely to be a tense wait until they announce their decision on the suspension.